A young man Kentaro Saeki (Haruma Miura) keeps failing his bar test and does not know what to do any more. His older sister Keiko is a freelance writer. Kentaro and Keiko begin to search for information on their grandfather Kyuzo Miyabe (Junichi Okada) who died in the special forces during World War II. Their grandfather Kyuzo Miyabe was terrified of death and obsessed with life. Why did he join the special forces? According to his fellow navy soldiers, Kyuzo Miyabe was a genius and also a coward. Kentaro and Keiko then discovers the shocking truth which has been sealed for 60 years. 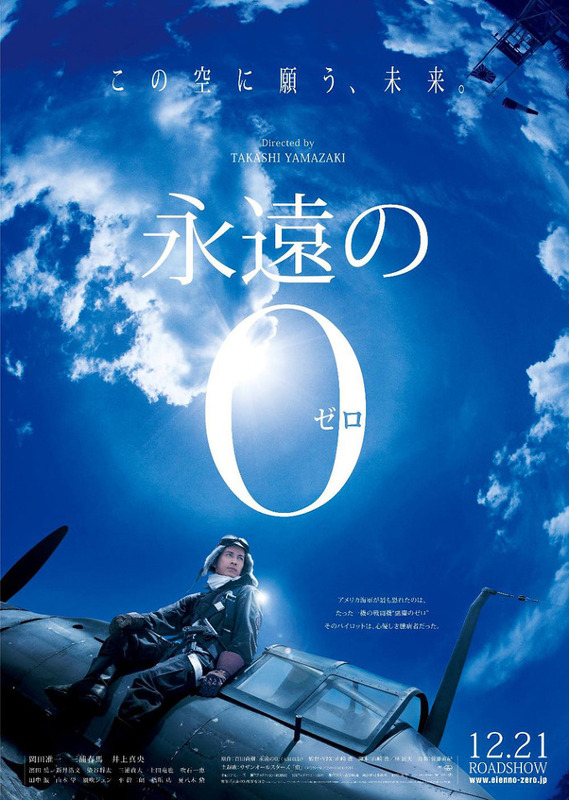 Based on novel "Eien no Zero" by Naoki Hyakuta (published by Ohta Publishing Company, August 24, 2006). Filming takes place from June 12, 2012 - August, 2012. Shooting takes place in Kagoshima, Amami Oshima , Chiba, & Ibaraki, Japan. iliekater Mar 04 2018 6:36 pm That was one of the greatest movies ... It makes me feel I wish a had a Zero ! Don't panic ! I'd only use it to fly around ! Ryuzaki Aug 28 2017 11:32 pm anyone know soundtrack of this movie? Overseas Mar 25 2017 4:50 am Its a very emotional movie. Every scene in this movie is so emotional it made me cry. Those who are sacrificing their life for thier country are not cowards. There are so many things in this movie I can't express directly. I hope you can understand. The Eternal Zero movie is the best emotional war movie ever. miko Feb 17 2016 2:25 pm Still in tears because of this movie. The story really touches my heart. 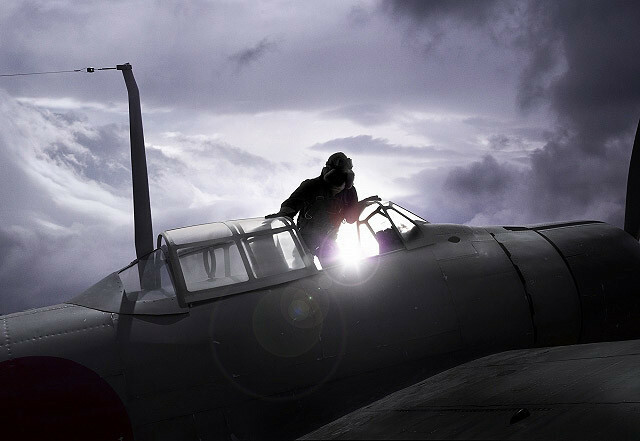 Wars always left unfolded story. Everyone who survives must continue their life. This movie gives me many emotions, which I can't express it all in my writing. Thumbs up for the casts and staffs. Thanks for making me crying at midnight! Lumin Jul 19 2015 2:57 am I just finished the movie and what I can say is that this is great! The ending was sorrowful though but still I would definitely recommend this to everyone because Eternal Zero is totally a moving and heartwarming movie. Junichi Okada played an astounding role that you surely won't forget and can inspire you with everyday life. Watch this kudasai! Michiyo Harumi Jul 06 2014 7:20 pm Ueppie is in this! MUST WATCH THIS NOW!!! Abbfdgs Jul 06 2014 7:18 pm Ueppie is in this! MUST WATCH NOW! Steve Apr 27 2014 5:04 am I watched this film on a flight back from Japan, hope it gets released on DVD (R2) soon as I would like my friends to see it too. This is a very moving human story of how ordinary people can become caught up in extraordinary events, how we deal with conflicting emotions and beliefs, how love & family anchor us and give us strength, hope, purpose. It is spectacularly filmed and well made. A good story well told. This does nothing to glorify war, it exposes the tragic waste of all wars. leslie Jul 13 2013 5:50 am Yay Haruma baby!! Sorao Apr 26 2013 10:52 am Junichi, Inoue and Haruma! OMG!! I REALLY REALLY WANNA WATCH THIS! Have ALL my favorite actors and actress!! Lucily Aug 12 2012 12:11 pm Gotta love the casts! Junichi and Haruma!!!!!! !